Nicehash has been hacked in December ´17. Read more here! Nicehash offers complex solutions for those who want to get involved in the cryptocurrency cloud mining business. 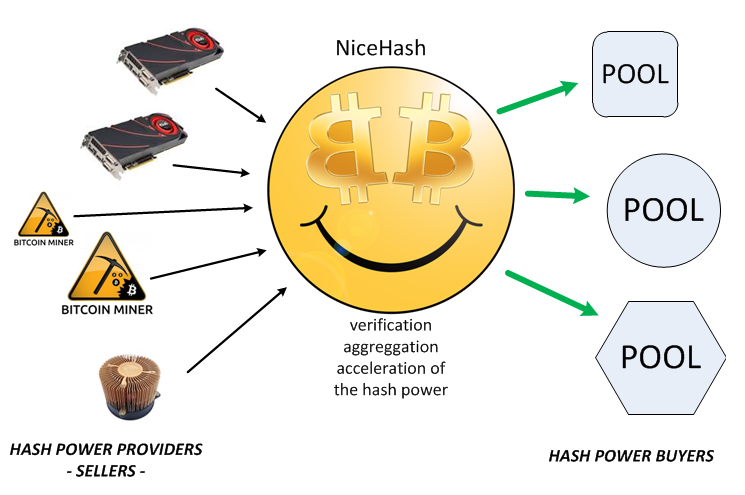 Beside running a mining farm to offer cloud mining services, Nicehash is also a mining pool and a place where users can buy and sell hashing power. They aim to reduce the risk and worriess that is associated with physical mining and bring the hashing powers directly to their clients. Nicehash has been on the mining market since 2014. Although there is a lot of details about cryptocurrencies and mining on the website, unfortunately they do not disclose the identity of their owners or any specific details about the mining farm. The servers are located in Europe and in US, but the exact location is not provided. Even a web research does not results much more details about the company, but at least the internet is not full of their complains and scam reports. At least they care about security measures as they are using CloudFlare as web protection and Bit Go bitcoin wallet to secure the mined bitcoins. SHA256, Scrypt and X11 algorithms are all available to purchase at Nicehash. Nicehash is offering complex service on the mining market. They combine the mining power of different miners around the world into their only mining pool. At the same time they boost the pool’s hashing power by adding their own mining facility that is available to rent out in terms of cloud mining services. Moreover Nicehash does not restrict the use of their pool to join, miners – be it physical or cloud miner – can join any mining pool they wish. 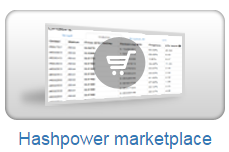 On the top of that, users can buy and sell hashpower on the market developed by Nicehash. Compared to other cloud mining providers, the model of Nicehash is not based on investments, but rather on advanced cloud mining experience. They do not emphasize the profitability nature of mining, but in stead trying to bring a complex service to their clients. In order to purchase hashing power at Nicehash, clients have two types of contracts to choose from. The standard bidding process allows the clients to bid for a price that they wish to pay. If someone on the market makes a higher bid on the order, then they receive the contract. This process can ensure fair market price of the mining contracts and can also mean cheap prices for lucky customers. Nicehash even offers automatic order management, which ensures that the bidding goes as high the clients lets it go. The other option is the fixed price contracts are for those who like to know the prices of the cloud mining contracts upfront. Once the fixed price contract is paid, the hashing power of the contract remains the same during the lifetime of the order. Fixed price contracts usually have higher fees eventually compared to standard bidding orders and can only represent 50% of the total hashing power of the pool in order to leave room for the bidding process. Nicehash accepts only bitcoin as payment method. There is no option to choose credit card payment or wire transfer. They offer Shape Shift as an option to convert altcoins to bitcoins if someone wants to pay for the services with litecoin, dogecoin or other altcoins. 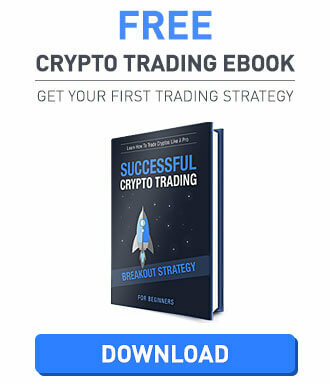 For credit card and PayPal they refer clients to Coinbase and list a couple or more exchanges to buy bitcoin. The PPS payment method ensures that clients at Nicehash are receiving payouts based on valid shares only. Nicehash collects all the hashing power around the world from the workers and also from it’s own mining facility and distributes the earnings within the pool with the PPS payment method, so each miner is receiving revenues based on their contribution to the overall hashing power. The payouts are happening 4 times each day. Nicehash offers it’s Nicehashbot on GitHub. This is an open source software that helps anyone to create their own mining platform. There is also plentiful information on the site about how to run mining profitable. They also run a referral system for registered users. In order to enable this functions, users have to request it via email from their support team. Once it is enabled, users can earn commission from each new order that their referred new customer makes. The fees for cloud mining contracts are only visible for registered users. However registration is real quick as only the email address and the password should be provided. The price of the cloud hashing contract is based on the amount purchased. There are no individual packages, users can choose whether to set the purchased hashpower based on GH/s or the cost in BTC. From 0.0264 BTC per GH/s per day for a standard bidding contract – obviously this last price is only available if someone is not bidding above it. At Nicehash clients can choose from two different servers, based on their location in Europe and USA. This is to ensure the most optimal mining activity is reached with the available connection speed. Interestingly the US based fixed contracts are priced slightly higher compared to the European contracts, while the bidding contracts are cheaper. The fixed contracts 0.033 BTC per GH/s per day and the standard bidding contracts starts from 0.0254 BTC per GH/S. Nicehash is charging 3% fee on hashpower transactions. According to their site they process this fee from each side of the transactions: so both the buyer and the seller must pay for the processing fee. That makes it quite expensive to transfer the hashpowers. Nicehash website is available in three different languages: beside English, clients can read the page in Russian and in Chinese too. The platform is providing detailed information on both trading hashrates, setting up mining at home or purchasing cloud mining contracts. Their FAQ section is well structured and has probably all the answers that clients may have. Sometimes however even too much information is crammed on a page that makes it hard to find the relevant information on a topic. The services offered by Nicehash gives a complete experience in cryptocurrency mining for users who join their platform. Beside being a mining pool, at Nicehash clients can also buy and sell hashing market on the live market. Both fixed priced contracts and contracts with bidding option are available at Nicehash. Although there is plentiful information on the website for starting mining and joining their service, due to the lack of information on the background of the company, users should be careful when signing up at Nicehash. Withdrawal fees are a disgrace. Gamers who want to make a few bucks Do not Use NICEHASH!! Unless u have 200 years to spare And like getting robbed.